Infused with the goodness of Aloe Vera and Indian Lotus extracts, Gentle Baby Wipes are mild enough to soothe baby's bottom during a diaper change. 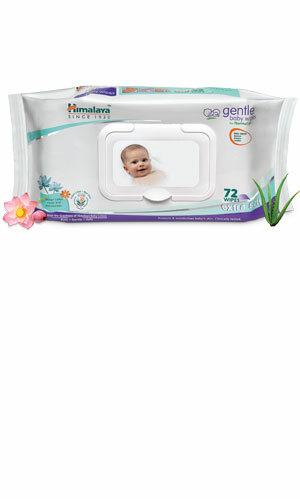 The wipes can also be used to gently cleanse baby's skin. The natural ingredients ensure that baby remains bacteria-free throughout the day. Ideal for use when travelling. Indian Lotus contains natural conditioning agents, which keep baby's skin soft and supple. Gentle Baby Wipes are used to clean baby's bottom during a diaper change.